There’s this nasty little rumor going around that states Gruener Veltliner must be a grape of intense, bright acidity, green apple, white pepper spice and citrus. While the core of Gruener’s taste profile is undoubtedly characterized by these elementary traits, like Riesling, Gruener Veltliner is actually a grape of many faces, dependent upon the soil it’s grown in. 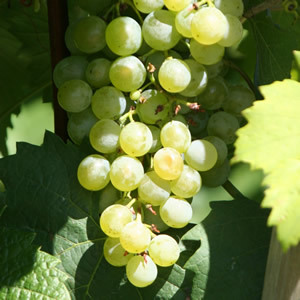 Although Gruener is Austria’s flagship grape, it is primarily grown in the Niederosterreich area of Austria – located in the Northern part of the country. Weinviertel: Peppery-fruity with mineral finesse and an intense, spicy aroma. Focal point of fruity white wines. Traisental: Racy & spicy to fine and well-balanced to full-bodied and fully matured. Generally, the more expressive bottles of Gruener Veltliner identify with the region in which they were grown better than the entry-level, inexpensive styles, but it is still possible to demonstrate the differences in taste and texture quite clearly with a simple comparison tasting. This post has provided the very basics of the Gruener’s differences, but the complexity of these tastes profiles stretches far beyond these simple generalizations. The fundamental differences come from the soil. Gruener Veltliner’s flavors profile is largely derived from the soil in which is grows. Like Austria’s other best-known wine grape, Riesling, Gruener is incredibly sensitive. A classic example of terroir versus wine making practice, Gruener Veltliner is a grape to try from all regions. ← Fred Loimer’s LOIS Turns Ten! The ’09 Vintage!